Alain Solivérès has been at the helm of the kitchens of the restaurant Le Taillevent Paris for over 15 years. This renowned culinary institution, which dates back to 1946, now has two Michelin stars to its name. Many years of rubbing shoulders with leading Chefs, from Alain Ducasse to Lucas Cirono, instilled chef Solivérès with the very passion that cuisine is capable of igniting and furnished him with comprehensive culinary know-how. Alain Solivérès now shares his expertise with the members of his kitchen brigade but also numerous Le Cordon Bleu Paris institute students. Students from the school have, in fact, been carrying out internships with chef Solivérès for more than 20 years. Some were even recruited at the end of their internship. 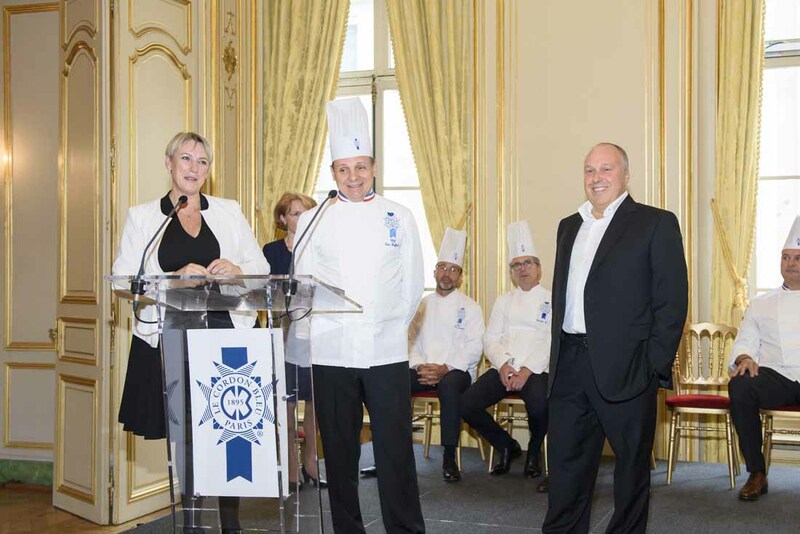 Chef Solivérès will also be class patron for the September 2017 Culinary Arts graduation ceremony (Cuisine – Pastry and Boulangerie). For your work, exigency, rigour and all the training you have received here, you will be able to practice your passion and go forward towards excellence, so that you, in turn can transfer to others.